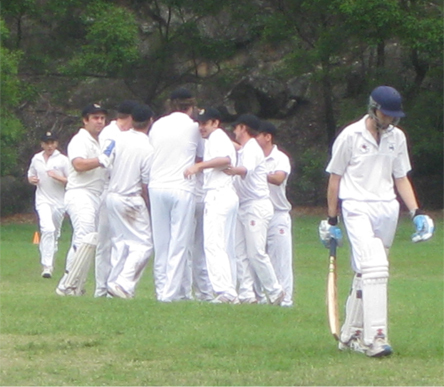 Decided to start your own team playing under the baggy black for Saturday cricket in Sydney this winter? If you're still not convinced, read the Why Us section. Else, congratulations on a decision well made, a decision you're certain never to regret! It's never been easier to register! Sign-up for the winter season in just 10 minutes by completing the Team Registration Spreadsheet (https://spreadsheets.google.com/feeds/download/spreadsheets/Export?key=0AtwRdrTtLs7JdDVQYTZKVDFQeEdZcEhLWWprNUpRSGc&exportFormat=xlsx). Once you've completed the spreadsheet, please attach it to an e-mail and flick to info@gypsiescricket.com. A club representative will promptly confirm registration. The Gypsies Cricket Club offer a variety of different membership packages tailored to suit the needs of each team. Packages are all inclusive, there are no hidden costs. Please choose the package that best suits your group. We recommend at least 12 players per squad to ensure 10 are available to play each match (matches are 10 per side in winter competition). If your group is not large enough to form a standalone squad, the baggy black can source compatible team mates to join your crew. In these instances, it will be cheaper for each player to register individually. 2. Consult Team Membership Packages to identify the fee correct for you. 5. Consult Team Membership Packages to identify the fee correct for you. 8. Consult Team Membership Packages to identify the fee correct for you. PayPal Transfer Follow the prompts under the "Send Money" tab in PayPal9 to transfer funds to the below details.